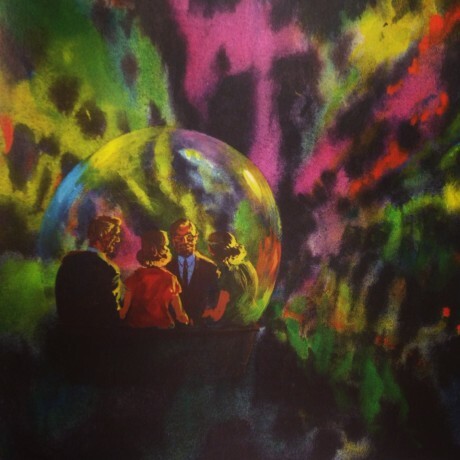 Psychedelic concept art from one of the rides at P.O.P. 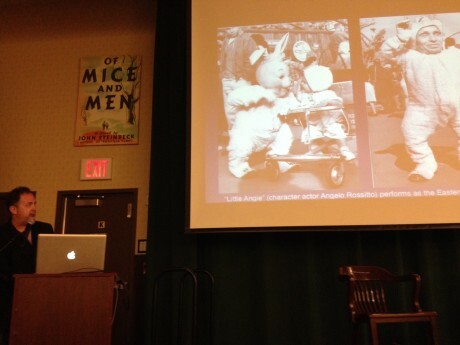 Christopher Merritt showing a slide of some of the stranger attractions at P.O.P. during this week’s Barnes and Noble event in NYC. Just a reminder that we are having a slew of events in Los Angeles this weekend to support our big release Pacific Ocean Park: The Rise and Fall of Los Angeles’ Space Age Nautical Pleasure Pier, with a foreword by Brian Wilson, from our sister press Process Media! The authors Christopher Merritt and Domenic Priore are doing a few very special events over the weekend and Chris flew all the way from Shanghai, where he is currently helping to design a large amusement park, and this will be the ONLY chance to get his signature on the book and to see him give a presentation and slideshow of the park. He and Domenic will be presenting a ton a fascinating information and engaging photographs from this long forgotten institute of human pleasure. You can also read more about it in last week’s New York Times and see a them live on yesterdays Good Day L.A.